Why not give us a go for FREE and get involved in the arts here at Cornerstone, your local hub for performing and visual arts in Didcot. We have two great offers; one for kids and one for adults! Do you or someone you know love a good sing song? Join us for a FREE taster session at our new CHOIR here at Cornerstone on Tuesday 25 September at 7pm. If you enjoy it and join the group you will pay just £49 for the rest of the term (7 sessions). Learn harmonies, have fun and make friends - experience is not necessary! Use the code TryUs at online check out or call Box Office to book your free taster. Ever fancied running away with the circus? Now's your chance to live the dream... for FREE and without needing to run away! 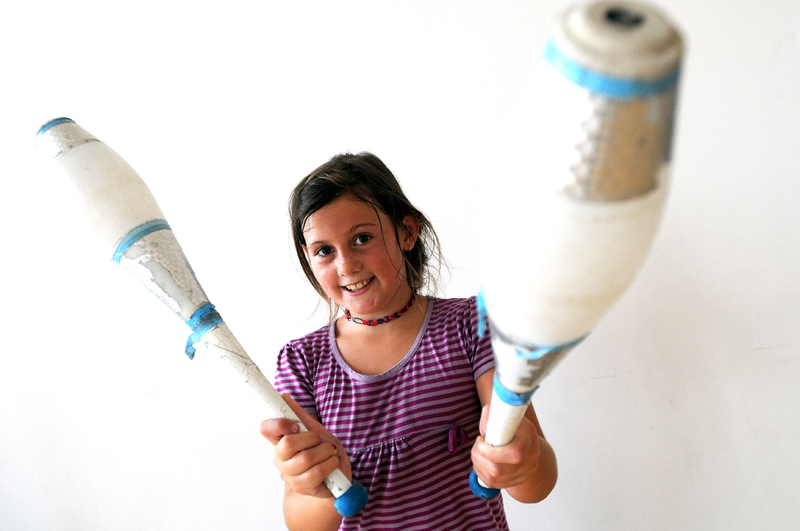 Join us for a FREE taster session on Wednesday 26th September and explore a range of impressive circus skills including plate spinning, juggling and gymnastics. If you love it and decided to book up you will pay just £38.50 for the rest of the term. You'll learn even more circus skills over the course of the term, building up to a small performance with costume and make up. To book your FREE session quote TryUs at online checkout or call our friendly Box Office.